Independence Day Resurgence Queen Alien & IMAX Poster Revealed! In addition to the awesome new poster comes the exciting (but slightly spoiler-ish) reveal of what we believe to be the Alien Queen! We wrote an article earlier about what this creature might have been, whether it be a transport unit for multiple Aliens, or simply a massive Queen. Today, we can rule out that this is in fact, a massive Queen. Looking very similar to its smaller counterparts, the Queen towers over the Human soldiers below her as she makes her way through the city. Could this be her last ditch effort at stopping Earth? Or is she trying to rescue her captive children? As more TV spots and details arrive, be sure to check back on Scified for the latest news on Independence Day: Resurgence! 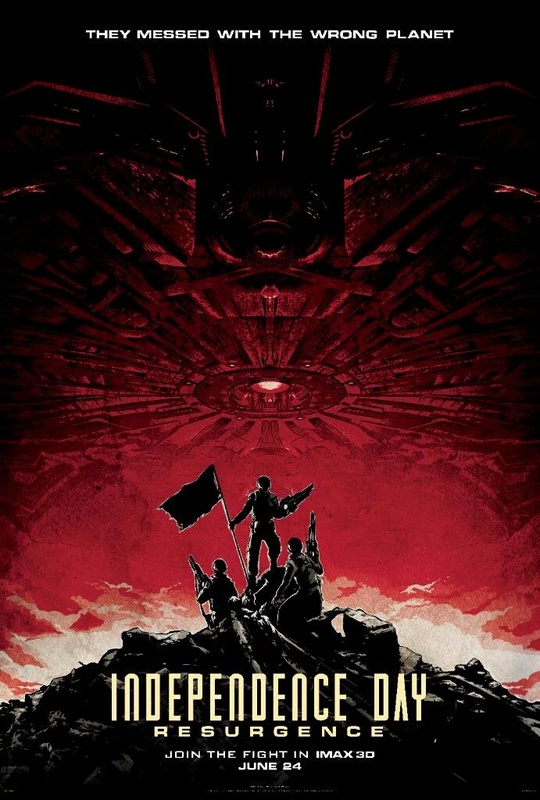 0 Fan responses to Independence Day Resurgence Queen Alien & IMAX Poster Revealed!